Ever since my oldest sister gave me a CD set of her Pastors sermons on Ecclesiastes it’s been one of my favorite books in the Bible. Like all my other favorite books, each time I read them I learn or see something new or different. That’s why when I’m or one of mine is dealing with something or someone that requires divine truth and or wisdom I refer to them. Such is the case know with my son, so I decided to read and study it again as I lift it all up to my Lord God in prayer in the name of Jesus. 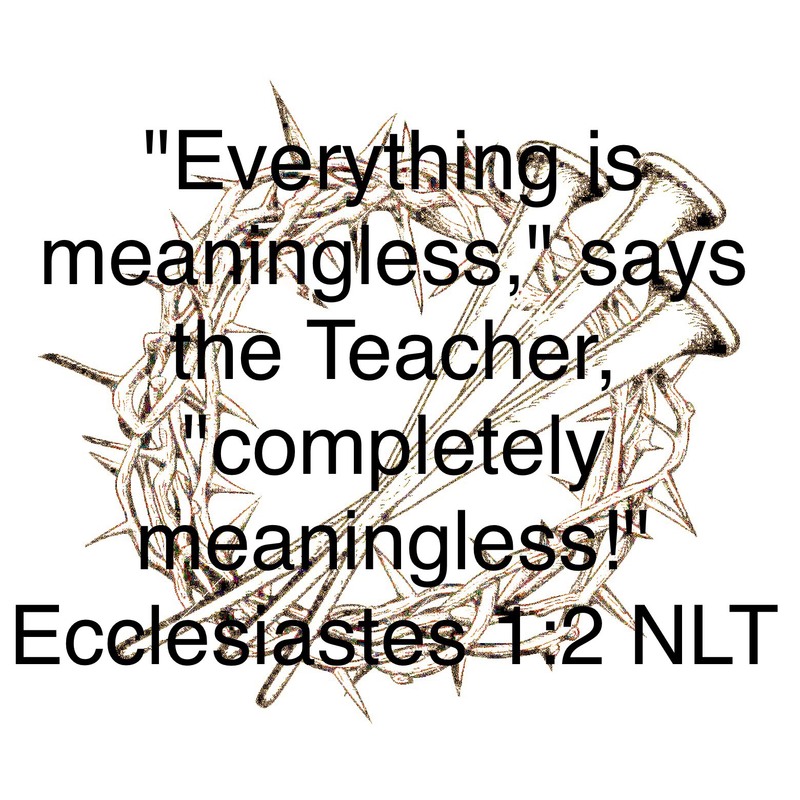 "Everything is meaningless," says the Teacher, "completely meaningless!" Ecclesiastes 1:18— We believe that increasing our knowledge and wisdom will ultimately satisfy us, but Solomon says that it “only increases sorrow.” Later, the apostle Paul, one of the most knowledgeable men on the earth at the time, says: “For I decided that while I was with you I would forget everything except Jesus Christ, the one who was crucified”( 1 Corinthians 2:2 ). This entry was posted on June 21, 2018 at 6:20 am and is filed under One Walk. You can follow any responses to this entry through the RSS 2.0 feed. You can leave a response, or trackback from your own site.